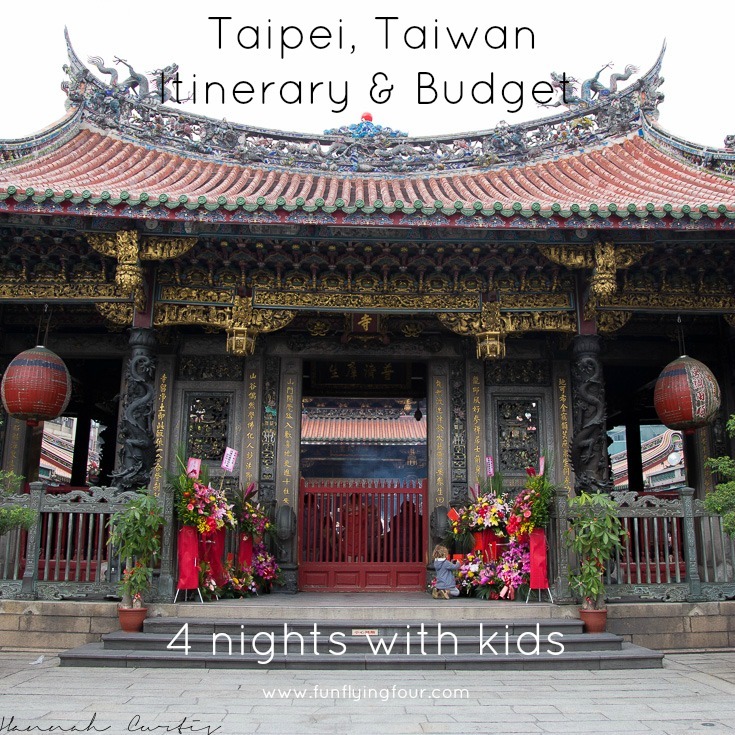 Remember a couple months a go the girls & I ventured off to Taipei for a long weekend? Well I have finally crunched the numbers to see how much our little getaway cost! (I actually forgot I hadn’t done this and just came across the neat pile of receipts this week). At the time my girls were both younger than 5, which is why I think they didn’t have to pay for much, I believe once you have school age children things like the zoo & Taipei 101 will incur a cost! All the souvenir and gift items are pretty much for Matt! I felt really guilty that not only was he not coming with us but we left ON HIS BIRTHDAY, so we did splurge and buy him a few things we usually wouldn’t! I also would have done a day trip to Shifen Old Street to take lots of photos and of course release a sky lantern! (Laura made a cute little video of her time there which you can watch HERE) and lastly I would have liked to do a food tour! I think Taipei is a great place to visit from Okinawa, especially with kids; its a short flight (and you can usually grab some great ticket prices through Peach) I found it very stroller friendly, all the subway stations have lifts in them, and its really cheap with loads to do! *I actually used the easy card to pay for these items, but separated it out here just so you could see how much things cost. If you do go definitely get the Easycard it really is super handy! Oh wow how neat!!! I would love to go there! But first Japan! That’s great the trip was so affordable for doing all that if you went some where in the states you’d be spending close to $2000 in just airline tickets! Taipei was really neat, different from Japan which was nice! Matt & I love to travel but try to do it on the cheap as much as possible otherwise we wouldn’t be able to do it! I am excited to live in America one day so we can go on fun road trips! Thank you for breaking this down for us like this! I am always interested in how people budget for this stuff!